Often at work I'll be debugging some incredibly complex logic with lists that can be hundreds, if not thousands, of items long. While the ability to inspect these lists using the normal debugging tools is useful, it gets annoying trying to scroll to the 700th item in a list and then accidentally moving the mouse focus away and having to start again. 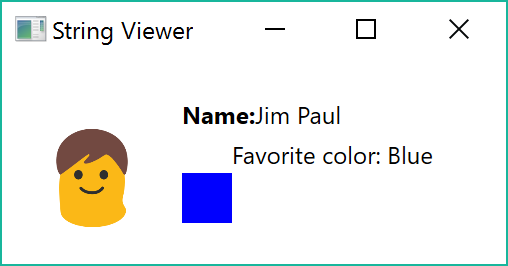 Visual Studio supports creating custom screens like this called Visualizers. I spent a couple of hours trying to figure this out and ended up talking to myself on StackOverflow, in the end it turned out it was due to the Stylus Input thread refusing to close. This closed the stylus input (touchscreen) thread properly and my Visualizer now worked properly. However since a lot of the classes I was working with weren't going to be [Serializable] I needed to support types without this attribute. The Person class above is not marked as [Serializable] in order to experiment with visualizing non-serializable types. Since we need to pass objects between the process being debugged and the Visualizer I opted to use JSON. 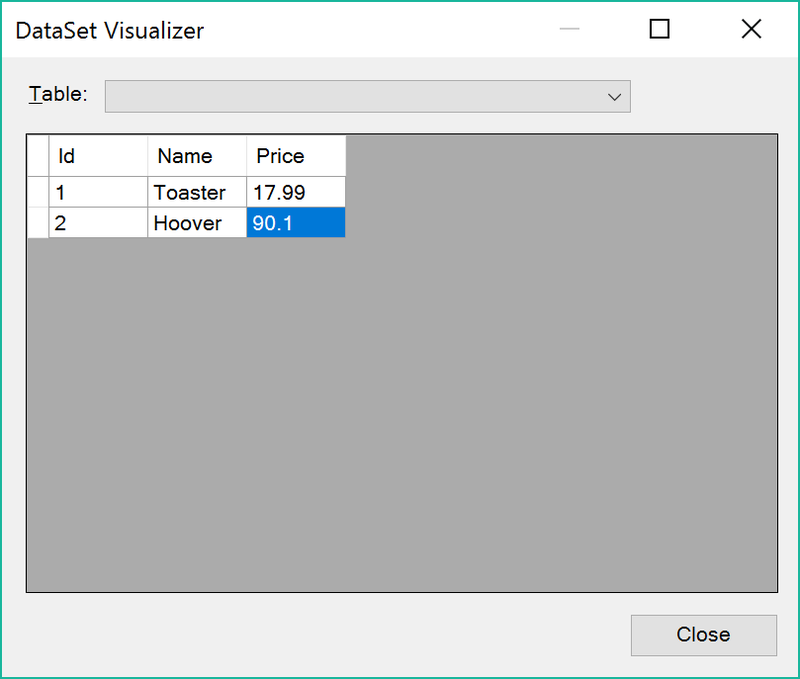 This turns out to be useful for a List visualizer where, even if only want to provide visualization for a single type of object, you can't specify the type of T in a Visualizer for List<T> so you must handle Visualization requests for the wrong type. Again we use the as operator here to handle the case where we get an unexpected or null object type. I also wanted to support Visualization of lists of a certain type. 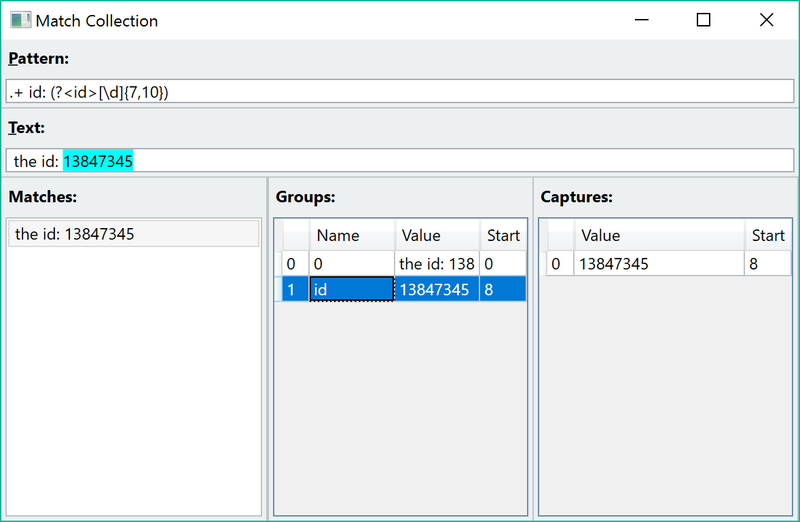 Unfortunately it's not possible to specify the type of List<T> you wish to provide Visualization support for so Visual Studio will provide your visualizer for all Lists. Since the Visualizer I was intending to write would be internal to the company it would be acceptable to handle the case where the List was of the wrong type by displaying a message box, but this would be annoying to general users. And then handle being passed the wrong type in the Show method. I am terrible at both pronouncing and writing Regexes (Ree-gexes?) and struggle with cases more complex than .*. My favourite site for writing Regexes is Regex Storm since it is based on the .NET regex engine and provides a clean, simple UI. Despite having that site available I still struggle with getting Regexes right, especially when using named Groups. The full code for this Visualizer and the simpler Person Visualizer can be found here. You will need an administrator account to move files into this folder.